Speaking of the devil... In the Engadin, this would usually allude to the beautiful Diavolezza mountain, which lures alpinists onto its slopes due to its proximity to the majestic Bernina massif. But now it has a rival: the "Senda dal Diavel" trail is a devilishly daring climbing route for skilled mountain climbers. Set against a magnificent backdrop, it leads from the bottom station to Lej da las Collinas and via the rugged eastern ridge up to Munt Pers. In between, easy climbing passages and exposed places with securing aids make you feel like a professional mountaineer. From the summit, the trail leads down to the Berghaus Diavolezza, and from here by gondola back to the valley. 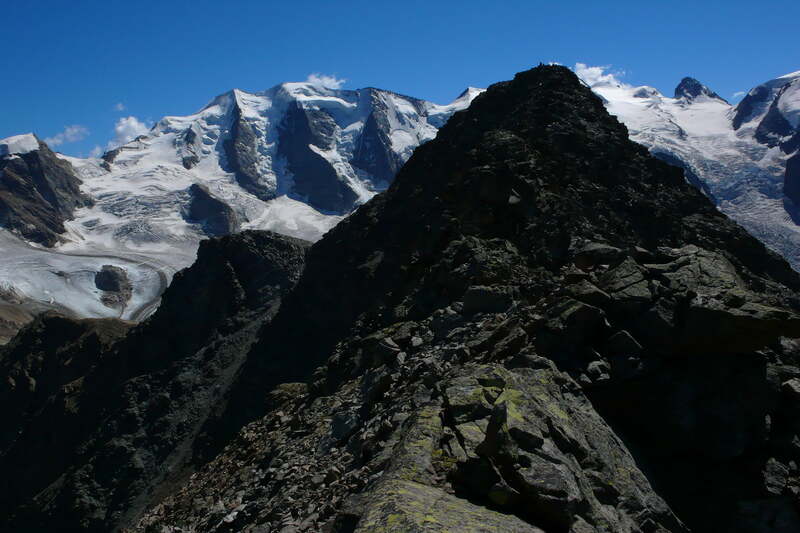 The requirements indicated for these high-Alpine tours are recommended by the Bergsteigerschule Pontresina (Pontresina mountain climbing school) and based on the official classification of the Swiss Alpine Club (SAC).